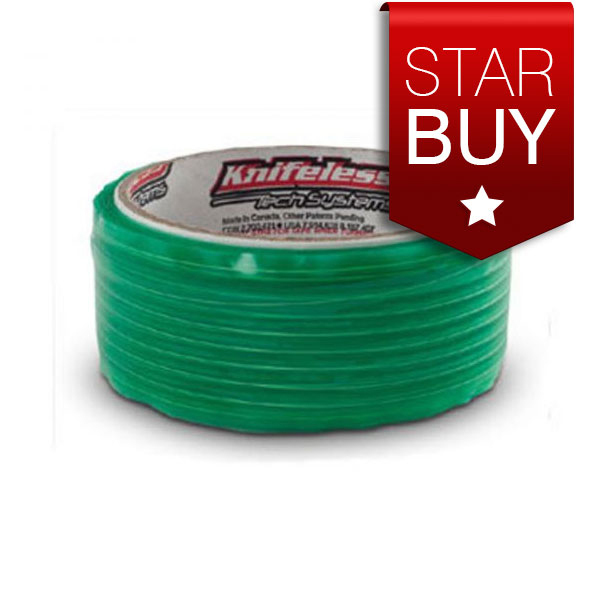 This handy tape is a must for your tool belt when fitting vehicle graphics and stripes. Knifeless tape creates precise, crisp cuts in vinyl during the application process. You can even break the tape with your hands, so you may never need to take a blade near a vehicle again! Available for general purpose and detailed work. 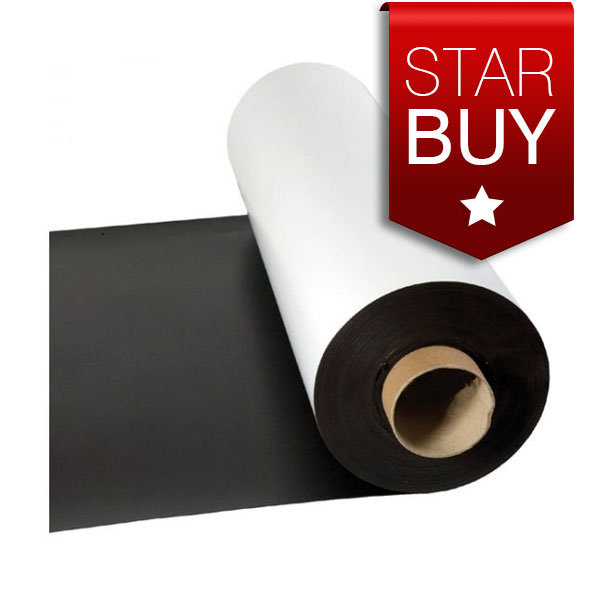 Victory magnetic rubber is a vinyl coated sheeting ready for print or paint, no surface preparation is required for most applications. It is light weight, corrosion resistant and flexible. This 3-5 year durable print media is perfect for graphics for application onto flat surfaces and can be printed using solvent, eco-solvent, UV and Latex inks. 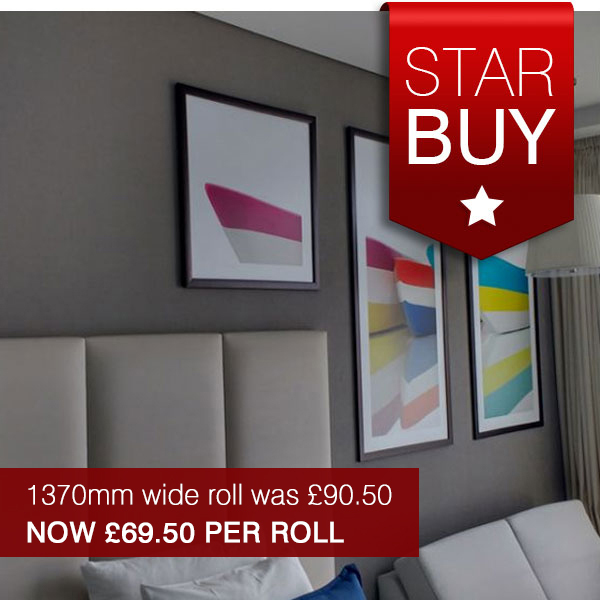 This clear 60 micron lamination film provides digital prints with protection from UV damage and scratches. 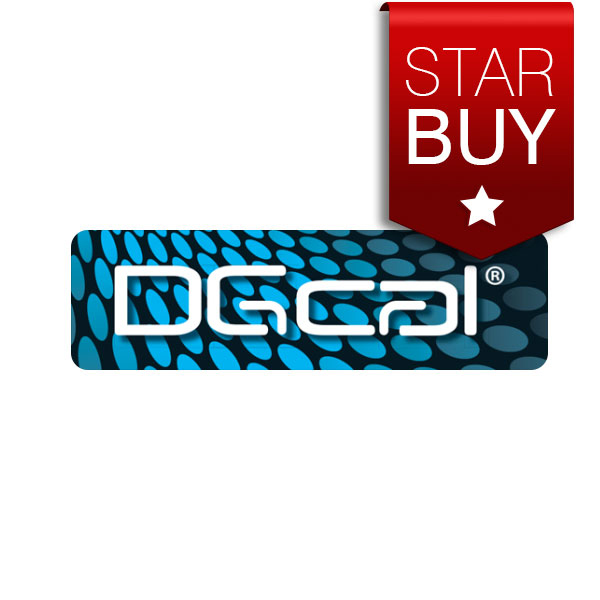 It is suitable for use on flat surfaces and is recommended for use with DG-CAL 3000 series. 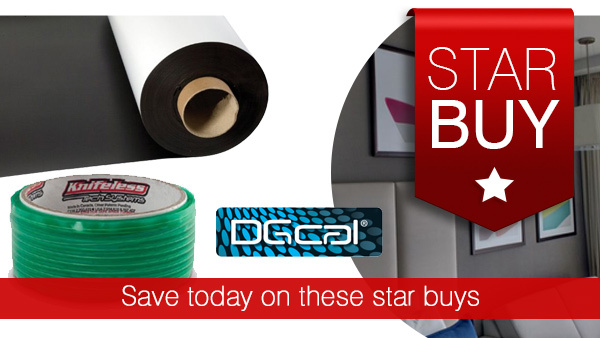 These special prices are available for a limited time only - order today to save money on these star buys.